Do you need a superior mobility scooter and don’t want to pay superior prices. We import directly from the manufacturers and offer high quality products directly to the public at wholesale prices. 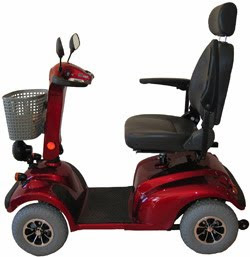 One of our most popular mobility scooters is the Envoy 8-8MPH . This scooter has up to a 30 mile range, it is class 3 (road legal) and can travel up to 8MPH, has 1 Month Free Insurance and 1 Year in Home Warranty. 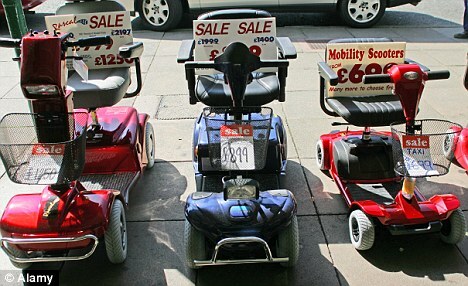 This scooter can also come in a variety of colours which include blue, white, red and silver. For further information about our products at Mobility Nation please visit us online. Check out this customised scooter! Here at Mobility Nation, we have seen lots of customised scooters, though they usually only involve a sticker or two, check out this ‘Pimped Out’ Scooter! As they speed down paths and shopping centre aisles, it’s perhaps not surprising that now and again some of us fear being mown down by a mobility scooter. With good reason, it seems. Britain is the mobility scooter capital of Europe, with more than a quarter of a million on our roads, experts say. Just five years ago there were just 70,000 mobility scooters being used in the UK, the number is now closer to 300,000, according to the British Healthcare Trades Association.